Everything seemed fine last October and November, when Hervé supplied Oddbins with 50,000 bottles, or 15% of the production from his 59 Hectare Bordeaux vineyard. As a small-time negociant, he’d also bought wine from neighbouring Châteaux – about 20% of the total bill of €180,000 – to supply the chain. You can imagine Hervé’s dismay at the beginning of March, following weeks of not having his calls returned, when news broke that Oddbins was to close 39 of its 132 stores. “The business is being restructured,” read the ominous public statement. Since then, the company’s woes have been in the business columns (‘Oddbins seeks to uncork rescue funding‘ said the Guardian) and lifestyle sections: “Oddbins has been fending off accusations that it couldn’t afford to pay its suppliers for some time now, but it has finally surrendered all pretence of being absolutely fine” wrote Victoria Moore, The Telegraph’s wine critic. The story has been the talk of the wine trade – both in the press, in blogs and on Twitter. Personally speaking, I believe that if you don’t buy from me, it’s not your fault. My feeling about the Oddbins proposition is that overinflated single bottle prices (‘indecently so’ says Victoria Moore) are a big turn-off for passing trade: I bought from the shops in the Fulham Road and Kings Road last year, neither of which have parking to take advantage of the “20+% off for six bottles” deal. £9.95 a bottle seems a lot if the same wine is £7.95 for six. Any home delivery specialist knows that’s a no-no, and they must have failed to engage customers with a steady stream of one-size-fits-all email offers. ‘Dear Wine Lover’ or ‘Greetings all’ surely doesn’t cut it anymore. CVA: will Creditors Vote Against? The company, which can’t pay it’s debts of £20 million, has entered into a Company Voluntary Arrangement, or CVA, whereby creditors will vote on 31st March to keep the business afloat and accept 21p in the pound of what they’re owed – repaid over 46 months – or give it the thumbs down. Most observers anticipate the worst. “The atmosphere here tonight is like the Coliseum when the Christians are on the menu” Sid Wadell, the darts commentator, once said. He was being serious, and so is the mess that Oddbins are in, but it does feel like there’s a queue forming to get a glimpse of a public execution. The executioner may be Her Majesty’s Revenue and Customs, which is owed £5.5 million in unpaid duty alone, plus PAYE and VAT of £3 million. Many wine suppliers are entitled to ask just how Oddbins managed to escape paying such a colossal sum earlier, as duty should have been paid as soon as the goods were released to the shops from a Bonded warehouse (which is controlled by HMRC). If that £5.5 million was made up of wine duty alone, that’s 3,250,000 bottles, or 25,000 per store. In a bizarre twist last Friday, the company “applied to enter administration, in an effort to prevent claimants derailing the CVA.” It transpires that a winding up order had been made by British Gas, which is owed the princely sum of £57.65. UK merchants Les Caves de Pyrène have said that the growers they represent are owed £145,000 and a great many producers are left to carry the can. Château Le Grand Verdus, owed £12k, is a stone’s throw away from us, and they’re not insured. Château Rousseau de Sipian, owed £31,000, is quite far away in the north of the Médoc and owned, I believe, by Brits. A quick tot up of a few Bodegas and Vina Bodegas shows that they’re owed £550k between them. 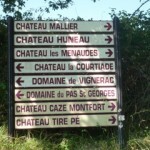 Then there are domaines, châteaux, wineries, merchants… As Hervé made clear to me, even if Oddbins lives to fight on, how can the business survive if suppliers insist on being paid in advance? Looking back, Oddbins made their buying strategy clear when the new regime took over. It might now be fashionable to blame the supermarkets (when hasn’t it been?) but somehow I don’t think they would have allowed their buyers to be quite so cavalier with other people’s products, services and livelihoods. Pity then, for Hervé, that someone fancied rather a lot of his stuff. Finally, there is some good news. Hervé should be covered by his insurance for 80% of his loss, even if €36,000 is still a lot to lose if he doesn’t see any of the money owed to him. He took out a contract which was backed by the French state, and the EU he says, that covered exports for small businesses, called Cap+ Export. When I asked Hervé if this somewhat attractive insurance plan was still available (kerching! ), he told me that it had been scrapped. With the potential losses in store from Oddbins and the like, I can’t see the authorities rushing to resurrect the scheme any time soon. So the EU picks up part of his tab, and we’re looking at bigger insurance premiums in the future. I guess we’re all losers, one way or another. I was working for Oddbins when Simon and co. bought it from Castel and it seemed at the time that they thought that they could go back to the "old days" of Oddbins. Sadly for them, quirky staff (who although often knowledgeable were not always the friendliest or most welcoming), funny signage and obscure wines just don't cut it anymore on the high street. Oddbins failed to move on (their website is embarrassing and social media plan non-existent) and stuck with the business model of the 90's, it's no wonder they are going under. 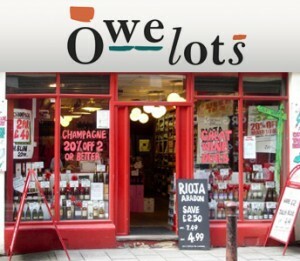 As much as we in the wine trade have a great nostalgia for Oddbins, it's a concept that has seen it's day come and go. 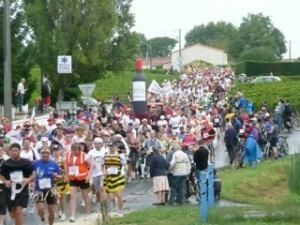 Happily, there are more and more opportunities online nowadays and different ways of discovering new and exciting wines. Perhaps if Oddbins had been bought by wine entrepreneurs it would have had a fighting chance but as it is, we'll have to say good bye, if not on the 31st of March, most likely within the year. Thanks Denise, I used to shop there, like so many people. I've still got a few great wines left too – Grange 82 for £25, for a start. When you mention online, I cannot understand such absurdities as their Gift certificate – it beggars belief. Honestly, check it out. I suppose that you'd have to say the companies like Naked Wines – with enormous growth in the same period since the new team at Oddbins took over – have moved into the place which Oddbins once dominated. I take no pleasure in seeing their demise. It transpires that British Gas is owed more than the £57.65 as this doesn't include estimated debts. If Oddbins is such a great business why didn't the new owners invest in the company? Can't see the CVA working even if it approved, who is going to extend credit? Also it is believed that UK customs authorities want immediate payment of tax and possibly a large bond. Thanks, Jim, for clearing up the gas bill. I thought it was bizarre. "ATTENTION: in order to be redeemed online, Gift Vouchers must be sent to Oddbins Direct"
I think that pretty much says it all, WHY would you have to send in anything to be redeemed online, there are very easy ways to redeem vouchers online without having to go to the hassle of actually going to the post, buying a stamp and sending in a voucher….it'd be funny if so many people were not affected by managements total cluelessness about the marketplace. As I understand it, part of the reason that the creditors list is so long is that it includes those staff who have recently been made redundant who are also facing the prospect of 21p in the £ on what pay Etc they are owed, on top of having to seek new employment at very short notice – not nice treatment at all. Great article, as a current employee of this shambled company, we are all disgusted by the way they are treating everyone. They say they love to support small wineries and get them on the UK market, but they don't pay them, it makes me very ashamed. We the staff of Oddbins are utterly dismayed by all of this and hope you all get your money, the money you deserve. They have put no money into the company and any man that can blame the weather for bad trading, which results in administration should not be a business man. Good luck all creditors and staff alike. Thanks for commenting, Ms/Mr A. I see today that the payout to suppliers will be just 7.5p in the £ if the company folds. This is all very sad but I agree that HMRC seem to have been completely negligent in all of this. We get jumped on if a duty return is a day late even if it is a nill return for that month and we have been under investigation for capital gains tax which, over the 24 months so far indicates that we have underpaid by 200 quid!That's 2 years salary for a taxman to claw back £200.Crazy or what? Can I just point out that I didn't write "Oddbins fights back". Although that was the headline placed on the piece by whoever. I wrote that the picture looked bleak and that it was hard to see how Oddbins could get itself out of the mess it was now in and I finished by wondering how they would persuade anyone to sell them wine. After several years at Oddbins I left due to the disgusting treatment of staff by the current regime. Two years ago staff were predicting something like this would happen and discussion was rife about the questionable legality of the owners' behaviour. If I were owed money, it is to Excellar that I would look, as that is where much of Oddbins' stock is rumoured to have gone to be sold at full price. How can Excellar owe Oddbins £17.5 million. I don't claim to be a legal expert but the two companies are owned by the same person. Surely this needs to be explained? I still speak to former colleagues and none can imagine how Excellar, a chain of four shops, could owe Oddbins so much money. I'm glad I got out when I did and hope for the best for all staff and suppliers who have been taken for a ride. As an Ex: Oddbins customer I think they lost the way many years ago and they were overtaken by many other wine retailers in particular Majestic. However my abiding memory of the Oddbins shop in Leicester was walking in(many years ago) and listening to some music playing – I recognised the song but not the singer ! I do think there is a place for a specialised chain on the high street – with a decent online presence too of course – specialised, quirky, interesting the oddbins of old. Probably not in as many locations as Oddbins currently has though. Who doesnt like wandering around a shop and browsing the shelves to find something interesting? As a current Oddbins manager I have to first comment on the many comments directed towards 'management' – all of this duplicity has come from much higher up than us. Now that it's all out, in the press and displayed for all to see on Delloittes website – my recurring feeling is that of hollowed out horror and shame. We had no idea. We knew that here was a problem – lack of stock and for example: a broken fridge not being fixed for months (common response would be 'Well, they obviously haven't paid…') were signs but the extent of it all has shocked, I believe, all but the very 'top' of this company. A mention of the ridiculousness of blaming bad weather is also true. Yes, the bad weather meant that we had none of a list of key stock for Christmas – but what were they thinking by only ordering that stock to arrive one week before Christmas in the first place? We've been fending off 'Are you closing down?' questions for months at least now we can be honest. Tomorrow we enter into Administration and although I'm sorry for those not getting their redundancies (a now seemingly pattern of not valuing those that have committed years of loyalty to the company), what of those that are left? Almost 400 people misplaced and not one will get redundancy (those with shorter service did at least get that in the closures) – we're even being told that our Administrators may not pay statutory holiday. I will go in tomorrow, open my shop and see what happens but truthfully two years ago when I came back to Oddbins I was so happy to have found some where with positive energy, where I was trained and encouraged and I honestly believed I had found a great place to work – that I was lucky. Now I feel like the inside of me is folding with the reality of what someone at the top of this company has allowed to happen. I'm also so sorry for all of the people who will lose so much from this. As another ex Oddbins employee (from the Leicester branch and I remeber being subjected to rolf harris…) I'm sad to see the chain go. My shop and job disappeared when the currant regime took over, I didn't much like the way we were treated then and nothing I've heard since has improved that opinion. Much of the best that Oddbins had to offer has filtered into other parts of the wine trade and that at least is a great legacy, but that a company that was once so good to work for should end up having treated staff and suppliers like this is a disgrace.